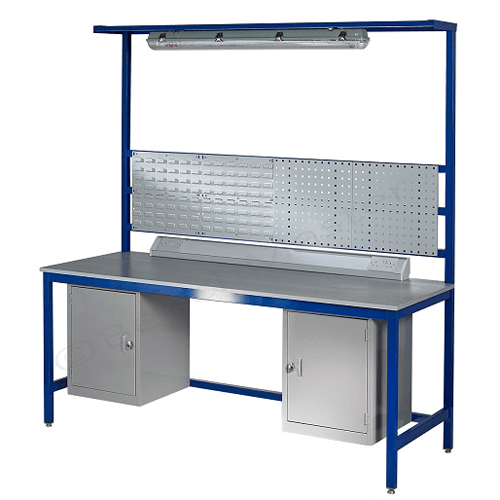 The distribution company have purchased a number of bespoke workbenches over several years. These large units are used across the warehouse in the Midlands. The warehouse is still growing and more orders are being placed in 2018. The fixed shelving underneath the workbenches solved issues for storing boxes and equipment including printers and files. The warehouse now has a uniform look where all the benches are the same throughout the building. The operators can now use one base to carry out work rather than moving from station to station. 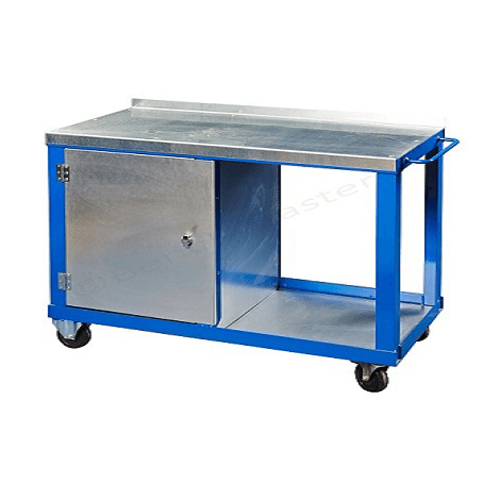 32 x 2090S – 2000mm x 1000mm x 900 laminate top heavy duty workbench and upper shelf 600mm above worktop. Various shelving for storage located next to the workbenches. 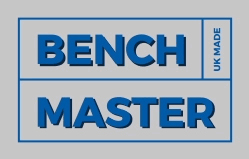 BenchMaster invited for the distribution company to visit the workshop to discuss the requirements and to demonstrate how workbenches are manufactured, look and work. 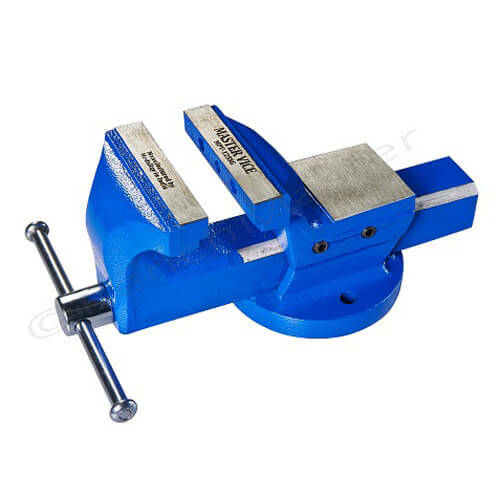 After these initial discussions BenchMaster designed and made a sample to be shipped out to ensure it fitted with the customer. Within a few weeks the design was passed and the customer started to place orders over the next few years for this and various other bespoke products. 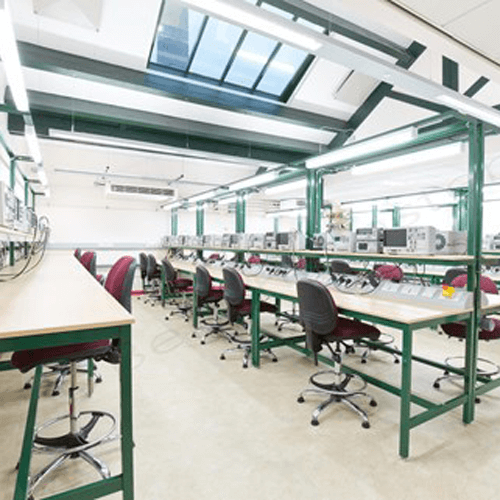 ”When we first visited BenchMaster in 2014, we were very impressed with their operation in Mossley and could see straight away why the team were so proud of what they produce. 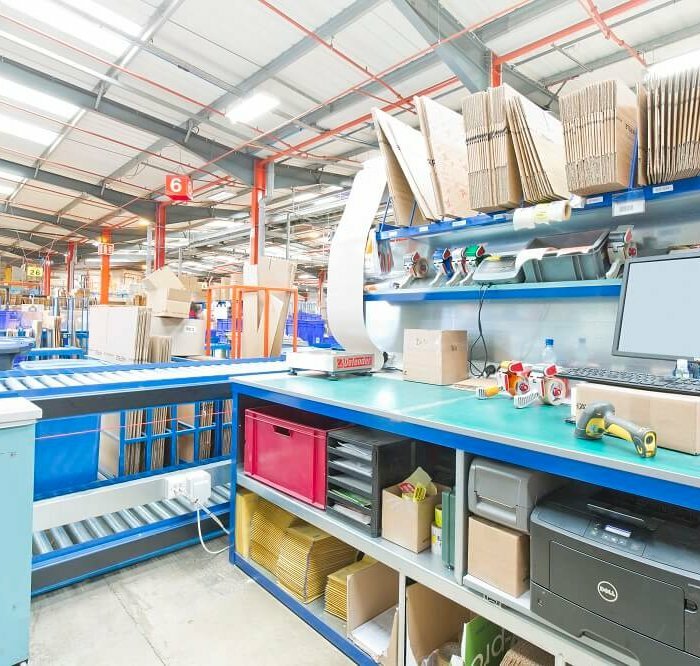 We were looking for a partner to support the development of a variety of operations in our warehouse and BenchMaster were the perfect choice for the bespoke solutions we required.